For a confident, active and adventure man The Essence by David Beckham Deodorant Spray is a great complement. It opens up with luminous violet leaves and zeasty grape fruit, a strong fragrance that stays for hours. Leaves you with a cool and refreshed feel. The middle notes are pineapple, apple and cardamon. It finishes with tonka bean, casherman, patchouli. 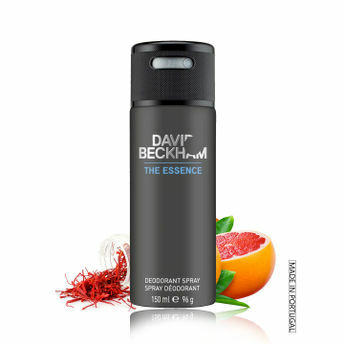 The Essence by David Beckham Deodorant Spray is made for the man who strive to be the best.